Almost no country can do big things as well as China can. 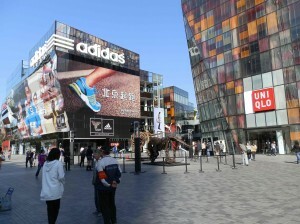 It rebuilt a sprawling section of Beijing to make room for the Olympics a few years ago. It has created a subway system in the city that has few peers. Its bullet trains have narrowed vast distances between cities whose stunning architecture is almost certainly the most advanced on the globe. It is building a vast system for moving water from the lush south to the dry north, a nation-spanning effort that residents of the U.S. Southwest could only marvel at. So why can’t Beijing do something about pollution? We’re not talking about a little whiff of smoke every now and then. No, the city’s air is so bad that popular wisdom here says the numerical scale for measuring it had to be expanded. On many days, the poisons are so bad that the U.S. Embassy warns people to stay indoors with windows closed. The embassy provides a Twitter feed to measure air quality hourly, and was embarrassed a while ago when the term “crazy bad” went out on the feed by mistake. The air that day was 20 times as bad as the guideline provided by the World Health Organization. 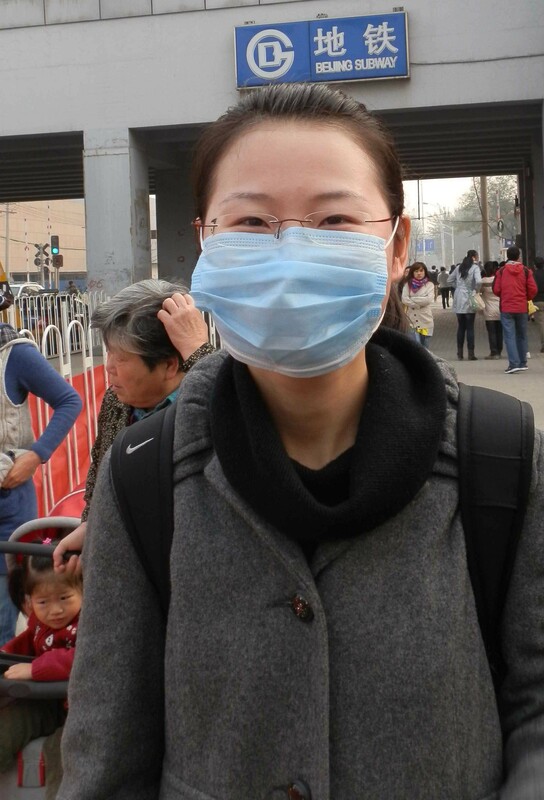 People here buy household air purifiers and sophisticated masks. 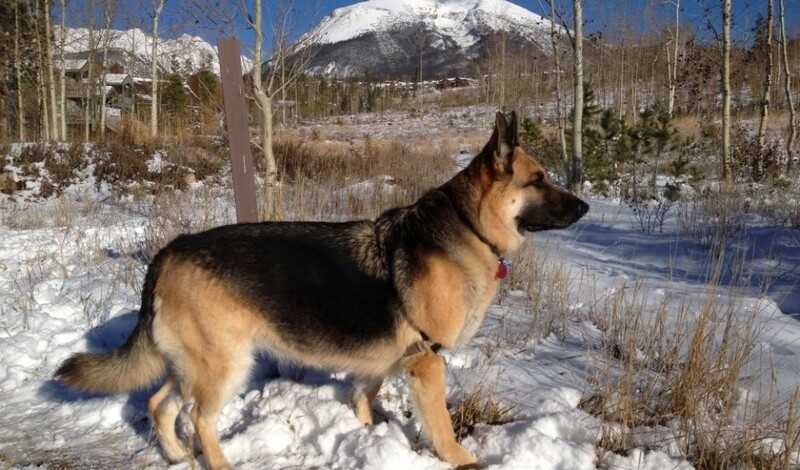 Without protection, one hardly wants to go out – you can feel the weight of the bad air deep in your lungs. Teary eyes, runny noses and scratchy throats are the norm. Wholly enervating. What’s more, the pollution sullies the air far from downtown. One can drive an hour and an half north, going into the mountains, and still not escape the eye-stinging smog. Early afternoons look like dusk on bad days, with no hint of a sun up beyond the foul, dense mist. Friends compare it to a sci-fi movie set in a world where ecological disaster blotted out the light. 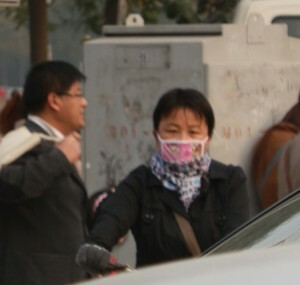 It’s common to see people wearing surgical masks – some fancy, colored types — on the roads of the city. Troublingly, it’s not as if China can’t cut down on the smog. For big events, such as the Olympics — and, probably, the recent Beijing Marathon — authorities can shut down the factories and power plants. Routinely, they limit driving by alternating odd and even license plates to try to contain road-choking traffic and, incidentally perhaps, limit foul emissions. 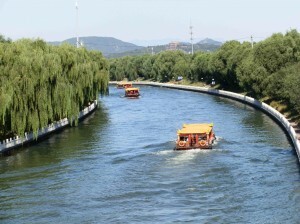 Officials supposedly seed the clouds in normally dry Beijing at times to clear the air. And certainly there are clear, nice days, when the sky is blue and the sun brilliant — just too few of them. Indeed, it’s ironic that China sees the growth of green energy around the world as a great business opportunity. It plans to be a global powerhouse in the production of devices and technology to serve the needs of the world’s businesses for ecologically sound production techniques. And yet, China continues to depend for much of its energy on coal. Wagons haul the stuff around for people to buy for cooking. Much of the country’s electricity comes from coal, and one doubts that this is the so-called clean coal of the West. 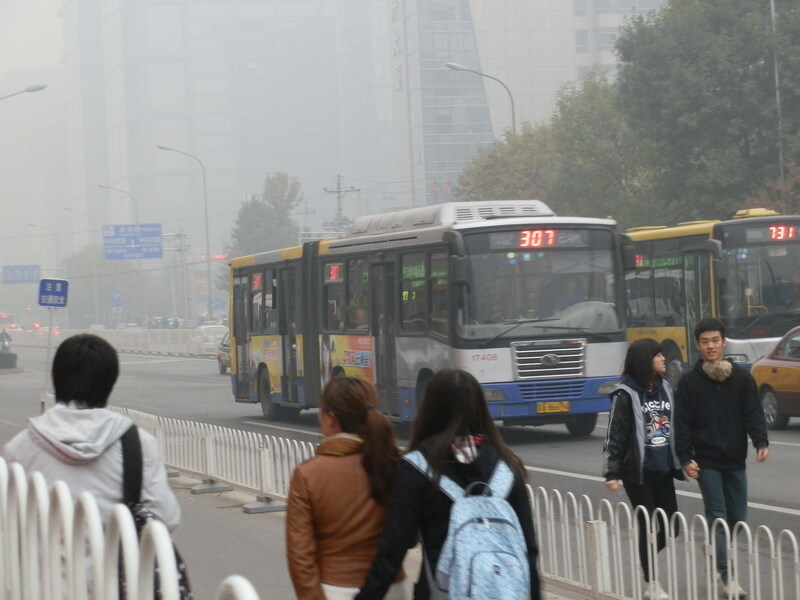 Certainly, if coal accounts for much of Beijing’s visibly awful smog, it is anything but clean. Fossil fuels, in general, drive this economy, just as they do that of the U.S., windmills aside. China’s leaders are smart people. As they permit the pollution to ravage their people – creating God knows what amount of disease now and in the future – they must have made some sort of cost-benefit calculation. They must have weighed the costs of their headlong rush to modernize against the environmental harm their policies are causing, and judged that public health (and comfort) can be sacrificed. As they’ve let millions of cars take the place of millions of bicycles in just the last decade or so, they must have calculated that their people feel the tradeoff is worth it – wealth for health. Then again, one has to wonder whether it’s been all that conscious and deliberate. The astounding growth of the last couple decades has brought many discomforts – inflation, widening inequality in income, the destruction of ground-level life in neighborhoods formed by low-profile warrens known as hutongs in favor of endless rows of high-rise apartment blocks. Much of the change has been good, of course, and the use of market forces to accomplish it is testimony to how powerful such forces can be. And it may be that pollution – certainly an unintended consequence – has come along as just another unpleasant byproduct. Controlling it may now just seem too difficult, with too many people committed to keep the steamroller growth going at any cost. 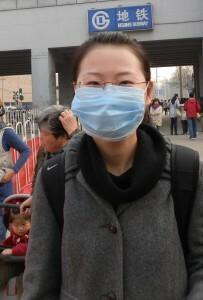 A friend from Japan says Chinese leaders are trying to address the issue. They have been in consultation with Japanese scientists and experts who wrestled down much of their pollution problem years ago. They’d like to rein in the problem here in China and do so even as they keep growing their economy. But one wonders how far off the solution will be. Sadly, I’m reminded of the Lyndon LaRouche folks back in the U.S. They used to argue that the drive to control pollution, especially efforts to halt it in the Third World, was part of some bizarre conspiracy to keep poor countries poor. That was nonsense, of course. And certainly there’s no conspiracy now within developing countries to foster pollution. Still, tolerating the poisonous air is a choice. And for many of today’s Chinese – young and old – that choice will prove to be a deadly one. "If You Are The One"
In the West, pundits wring their hands over the unsavory fare that airs on TV nightly. Ordinary folks watch the three or four shows weekly that we can abide and we sigh about how much better Bonanza and the Beav were. But in China, the government goes further – forcefully moving to curb programs about dating, talent contests, marital problems and reality shows. Such programming, the State Administration of Radio, Film and Television said, is “overly entertaining and of low taste,” China Daily reported this week. So, each of China’s 34 satellite channels are being limited to two such shows per week. 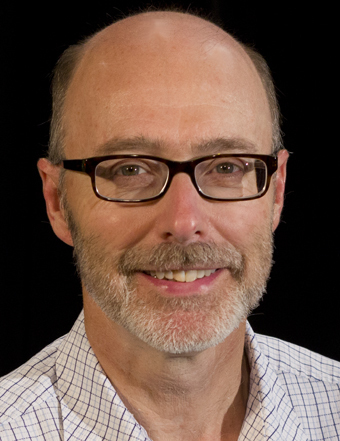 State-approved news programs will largely take their place. I, for one, applaud this move. There’s no doubt that the morals of young Chinese are being compromised by such products as “If You Are The One,” a dating show where girls wear, migosh, short skirts. In the wake of such broadcasts, girls now are wearing such skirts on the streets! Then there’s the corrosive effect of “Super Girl,” a knockoff of American Idol that fosters the myth that ordinary folks have talent. Let’s stop feeding such fantasies. 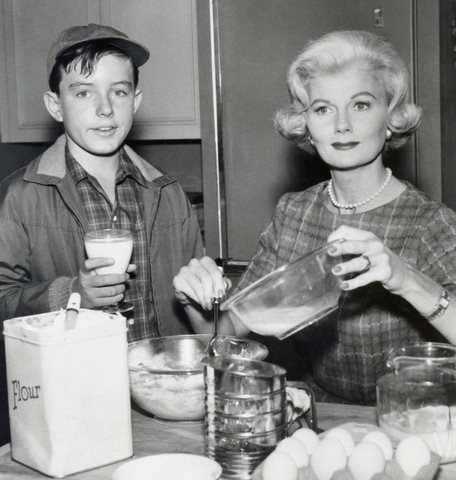 Thank goodness that the show, which drew 400 million viewers even as officials branded it “vulgar,” “manipulative” and “poison for our youth,” was cancelled last month. It’s about time somebody made that case. China needs more broadcasts about the annual rice harvest. Give viewers more about heroic workers marching off daily to produce iPads and iPhones. Tell them more about the 50-year-old project to divert water from the south to the north. Run more documentaries about Japanese aggression 75 years ago. Even better, take a page from CCTV 24, the English-language channel of the state broadcasting service. Air more talking heads, commercials for distant provinces and fashion, fashion and more fashion, along with occasional bits about Occupy Wall Street, riots in Greece and shooting in Libya. That’s the kind of thing the public needs. And, while we’re at it, something should be done about those pesky Western journalists. For one thing, they irresponsibly linked the prudent changes ordered for TV to an alleged crackdown on social media, especially a couple Twitter-like services used by more than 200 million Chinese each. Ignoring the reality that highbrow culture and correct opinions are what the Chinese need now, The New York Times reported critically about right-thinking calls for swift censorship. I’m reminded of the days when Ed Sullivan chastely refused to show Elvis Presley’s gyrating hips, when married couples slept in separate beds on TV-sitcoms and when actors had to keep one foot on the floor in bedroom scenes. If only we had such rules again in the West. No doubt, there would be less teen pregnancy, fewer divorces and more church-going. Perhaps even a balanced budget and less unemployment. Oh, and longer skirts, too. 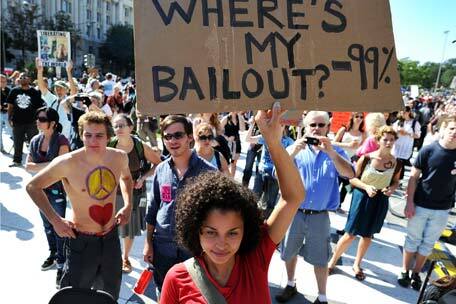 The Occupy Wall Street movement is fascinating people in China. The media here — at least the English-language outlets — have been filled with coverage ever since the movement started gathering steam. My students at Tsinghua, too, seem intrigued, if puzzled, by the whole business. 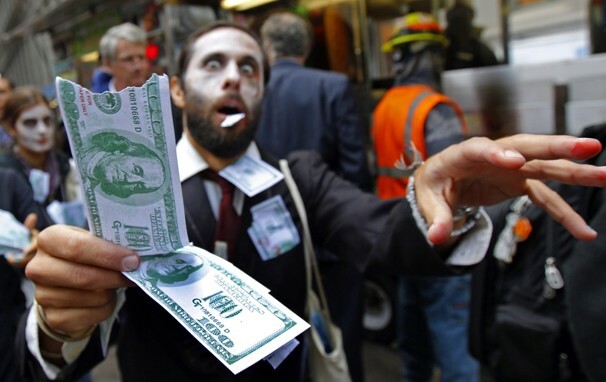 For some, the idea of people taking to the streets all across America to question capitalism, the Wall Street power structure and the Man, in general, may confirm a Chinese idea that the U.S., in historic decline, is rife with instability and confusion. Babel on the other side of the planet, perhaps, and a far cry from stability-loving China. The heavy coverage may also serve to reassure the Chinese about their health and continuing growth, as the one big economy still perking along. CCTV, Channel 24, the English-language arm of the state broadcasting service, has aired repeated broadcasts about the marches. Correspondents on the ground in NYC have interviewed demonstrators. A group there sporting a Communist banner got some short play, unsurprisingly. And CCTV even dedicated a big chunk of a regular debate and discussion program called Dialogue to the demos, linking the protests to marches and occasional violence in Europe and Greece, and thus painting a worrisome picture of chaos outside the comfortably safe borders of China. It would be wrong, however, to look on the coverage as a heavy-handed bid to soothe Chinese about the superiority of their system. For one thing, the talking heads on Dialogue – an American prof from the New School in NYC, a German from the Imperial College in London and a Chinese international-relations scholar from Tsinghua University in Beijing – made it clear that the dynamics of the Eurodemos and the U.S. affairs are quite different. For another, it has been repeatedly pointed out that the demonstrators have yet to cohere around a single agenda beyond their furor at lingering high unemployment. Moreover, some of the discussion has been surprisingly astute. For instance, one of the folks argued that things would be a lot worse if not for the bank bailout that protesters have pilloried Obama over. And that was the Chinese fellow from Tsinghua! The Chinese academics, particularly those who have studied in the West, are a sharp bunch, not to be underestimated. Certainly, they aren’t faulting capitalism as a concept; they just want to do better at it than the West. As for my students, they have been mystified and entertained. One, who studied for a while in Florida, maintained that the demonstrations suggest that the U.S. has a serious problem. Another, however, said he found the business amusing, noting it’s the kind of thing that would never happen in China. Certainly, the government here would never permit the raft of videos on the Net agitating for the movement, as has happened in the U.S. He said he was once tasked by his media employer to cover a demo here and police broke it up before he could get there. That sort of thing is just not done in China. There has been much discussion, too, about how the demos seem to be a left-wing response to the Tea Party. That idea has come up on TV and was suggested by an American visitor, an economist, who was kind enough to visit my class in business and economic reporting this week. He thought it perfectly natural for young people, especially, to do this sort of thing in the U.S. If the Chinese media have paid so much attention because the demos offer comfort that the Chinese system is superior, the editors may be making a mistake. It’s possible that some Chinese see the demos not as a signs of decay but rather as evidence of a robust democracy debating its future in civil, at times carnival-like, ways. What’s more, China has big and growing problems with income inequality, soaring housing prices and food-price inflation – all of which could indeed put Chinese into the streets, if they had the right to do that. My students recently have been reporting on major unemployment and underemployment issues among millions of college graduates, as well as among impoverished migrants from the countryside. 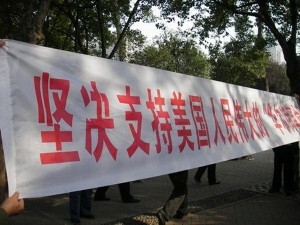 Indeed, there was a supportive demonstration in Zhengzhou, the capital city of Henan Province. The website, ChinaHush.com, reported that the news was removed from a lot of Chinese mainstream media sites but continues to pop up on various Internet forums. Might the Chinese follow the coverage of the U.S. and get a touch envious? Is the freedom to speak one’s mind, to make one’s grievances known, an appealing thing? Is influencing your country’s politics – proving that the right wing isn’t the only game in town – so bad? China looks outward and upward — but for how long? As I sat entranced by Tchaikovsky performed by Russia’s Gergiev and Mariinsky Orchestra at Beijing’s sprawling and ultramodern National Center for the Performing Arts this weekend, I was struck again by the country’s stark contrasts. By the thousands, people here delight in orchestras, dance troupes and theater companies from across the world. Demonstrating its scientific prowess, China just last week launched a rocket carrying the Tiangong-1 lab module into orbit, a step toward a manned space station. And, economically, China’s robust growth is making the rest of the world pale. 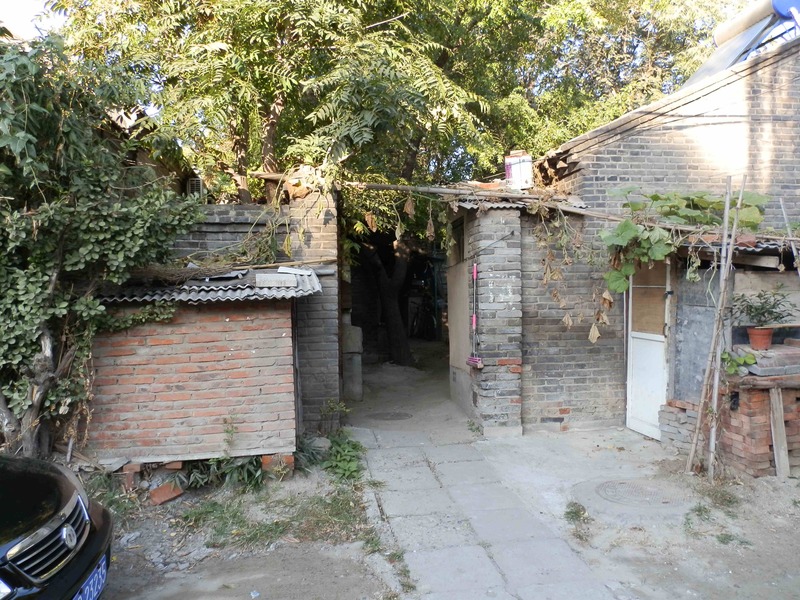 And yet, China is also a place where indoor plumbing is a dream for squatters and the poor who live in ramshackle houses, including some still scattered about the Tsinghua University campus. For all its openness to people and companies from around the world, the country still shuts out such powerful communication tools as Facebook and Twitter and muzzles its own knockoffs of such social networks. 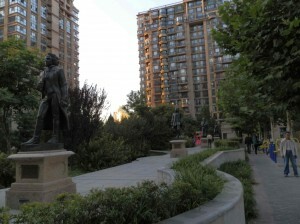 And university graduates who go to work for foreign companies in their offices here – whether media such as Bloomberg News or global manufacturers such as Procter & Gamble – can’t get needed Beijing residency permits, crucial papers that give them to right to do everything from buy cars to send their kids to public schools. I suppose such contrasts – and contradictions – are nothing new here. Emperors and empresses lived in opulence so lavish that long canals were built to let them travel in comfort between palaces (this weekend, we visited one such canal linking the Summer Palace with a central Beijing spot). At the same time, peasants starved in the countryside. 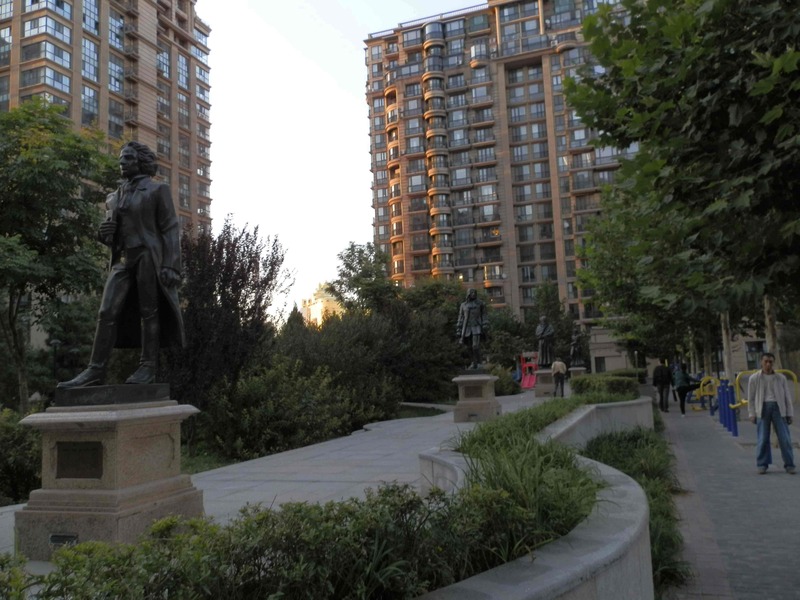 More recently, as a middle class has surged into prominence, residents in Beijing, Shanghai and other cities have been able to snap up spacious gated-community apartments, cars and other amenities they could scarcely imagine when they were young. 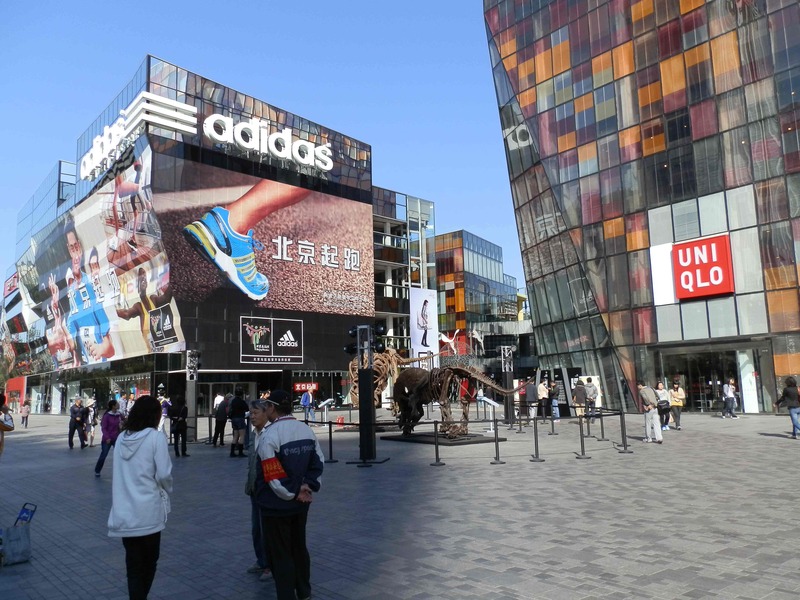 Flashy shopping malls, many stocked with pricey western goods, fill architecturally fascinating towers that have risen by the hundreds in the last decade in Beijing. And yet, some of the poor in rural areas attend schools with cinderblocks for seats, no books and no real hope for the future. Economists measure disparities in income in societies, and China’s ranking is surprising. While the U.S. looks worse, at 39th place in terms of distribution, thanks to all those zillionaires President Obama wants to tax, China isn’t far behind, at 52nd place. This ranking, the Gini index, is based on fairly old data (from 2007 in China’s case), and I suspect the measure will worsen when newer numbers come in. But already it suggests that China’s flood of new wealth hasn’t lifted all boats. Indeed, China’s leaders are so concerned about disparities that they have banned certain words in advertising – “supreme,” “high class” and “luxury,” for instance – apparently believing that such terms only spawn dangerous envy. As for its ambivalent dealings with the West, China has long alternated between periods of openness and times of circling the wagons. Its leaders have adopted Western ways only to shrug them off. They have shut the borders when they felt the contacts were hurting them. These days, China is pushing its promising youngsters to learn English – teaching it from the earliest years – and facilities from the subway here to signs on school buildings, in stores and on major locations boast English. 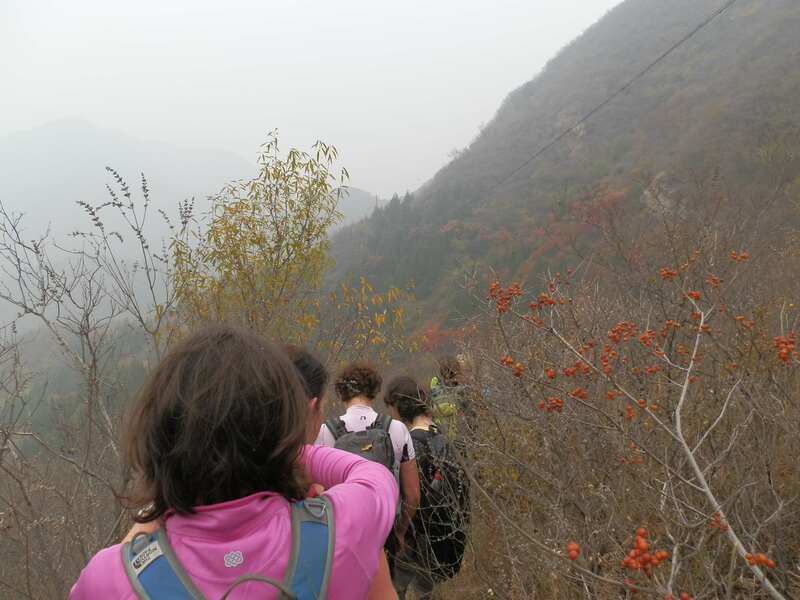 I am teaching in the Global Business Journalism program, an example of China’s openness, as Western journalists teach their techniques to Chinese graduate students. This sort of openness would have been unthinkable only a few decades ago. Like any developing economy, China’s system has a long way to go. It has come remarkably far since it set out on the once-reviled capitalist road in the early 1980s. Even as it pushes ahead technologically – as symbolized by Tiangong-1, its gleaming towers in Beijing and the bullet trains that zip around the country – it will continue to grapple with problems spawned by income inequality. Growing – and sharing — the wealth, and opening the doors more to the outside are unlikely to proceed evenly. The march forward may be marked by occasional steps backward – as with the government’s attitude toward Facebook. But, unlike earlier times when China’s leaders sought to close the country off from the rest of the world, it may be that such insularity proves impossible in a globally integrated economy. For hundreds of millions of Chinese, the open door will lead to a dazzling future.